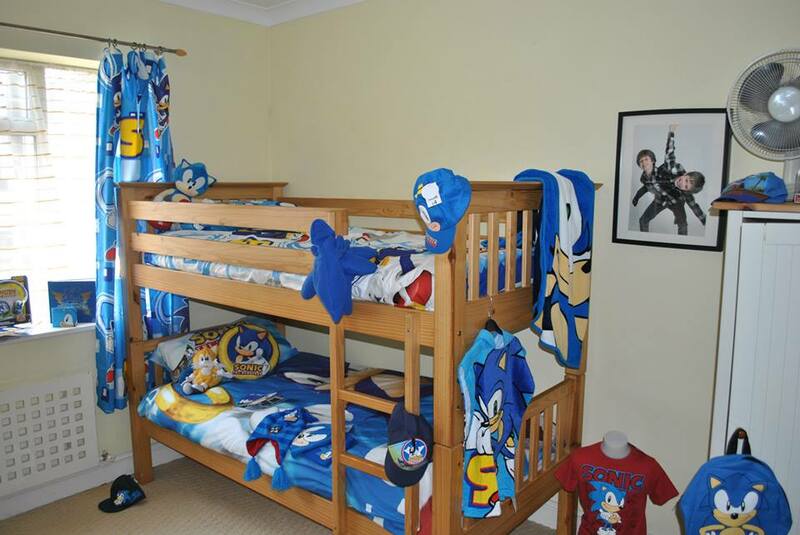 The agency which Sega use to help promote Sonic as a brand here in the UK recently held a ‘christmas open house’ what is that you might ask? 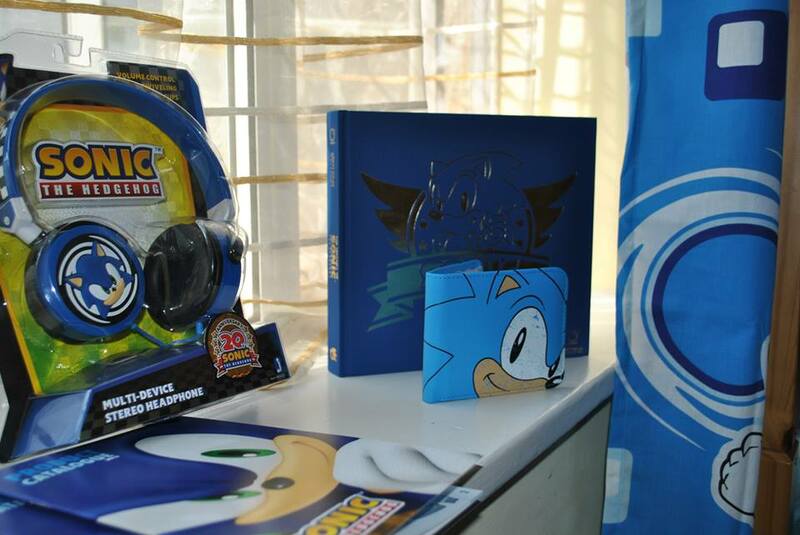 Well, Mi-Pr is tasked with helping Sega to promote Sonic here in the UK, their job is to showcase Sonic products to retailers and the press in order to get more orders placed at retail. So the idea behind a christmas house is to decorate a home and fill it with products so retailers and the press can see what it looks like come christmas day and entice people to order products for retail. The event has since ended, however photos of it are coming to light, and there are one or two interesting bits of information coming out. 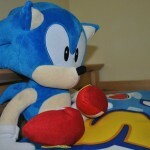 I should point out, Sonic Lost World was also available to play too, but I cannot find any new information on it. 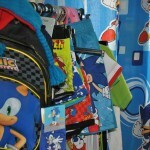 A selection of Sonic clothing/accessories, Eggman underpants confrimed. 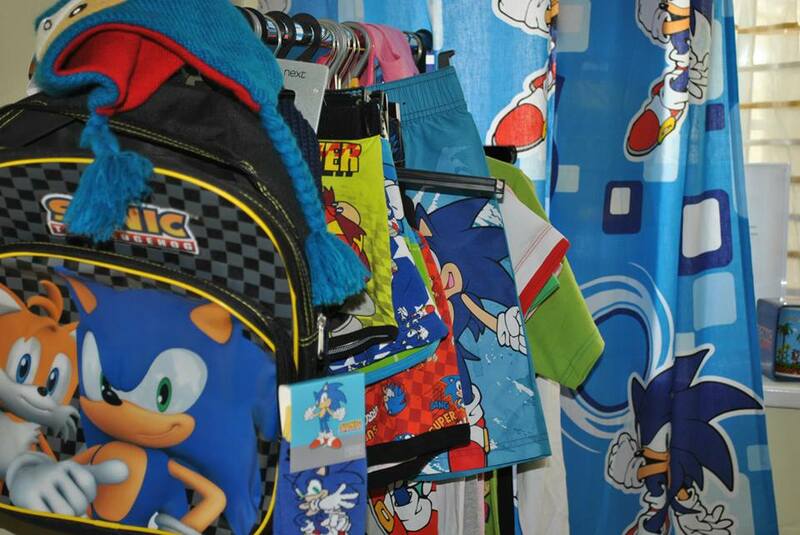 If they have those in adult sizes, I might just have to buy several pairs. If you look at the bottom of the above photo, you can just make out the Sonic pinball game which has been teased every now and again. 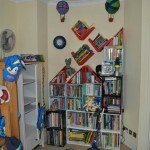 This photo both excites and infuriates me. 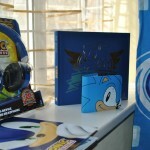 Whilst it doesn’t show anything new, it does show the Sonic product catalogue, but you can’t see inside… Please, Sega, Mi-Pr, somebody, can we get a copy of this so we can actually take a look inside it and know what to spend our money on? 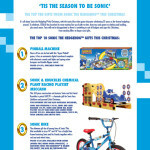 The above picture comes from toybuzz.co.uk. 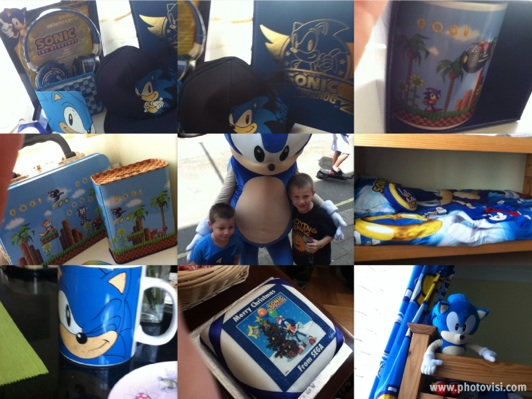 Wilst it shows no new products… it does show a Sonic themed Christmas Cake, I suspect this was made specially for the event. In addition to the pictures, Pi-Pr also released some infromation regarding a couple of new products to be released later this year, including the prices of the products and retailers who would be stocking them. 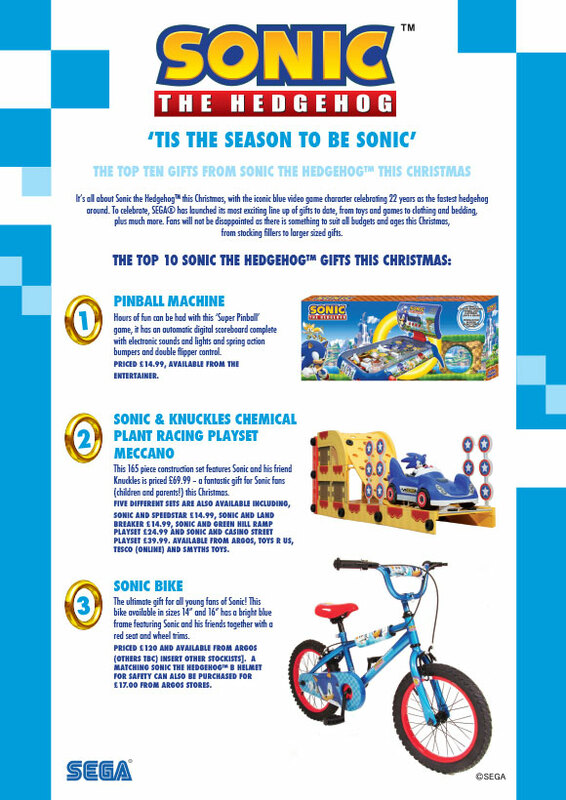 The pinball game will be just under £15 and available from The Entertainer, the bike is £120 and from Argos, also a Sonic crash helmet can be purchased for £17 too. 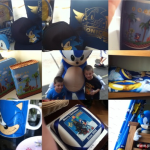 Next Post > Next post: Sonic Lost World Comic & Archie Cast Redesigned? 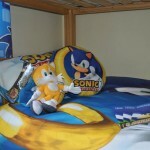 My merchandise prayers have been answered! 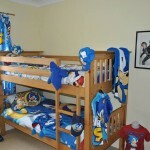 Hey, who’s been taking photos of my room? Has my quest finally come to an end? Be still my trembling heart.